I sent the email copied below to the 9/11 defense attorney's team this morning. 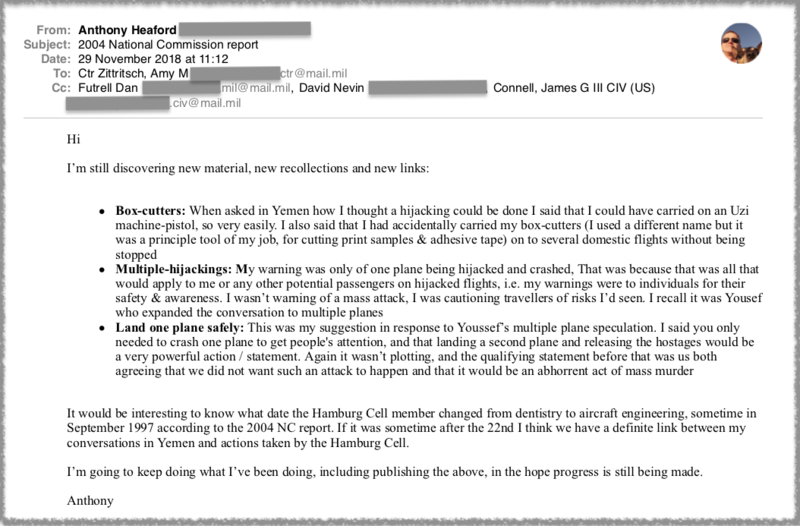 It recounts details from my 1997 conversations in Yemen with members and associates of al Qaeda. I have corresponded with these attorneys since March 2018, when they first contacted me expressing an interest in my reports and requesting to interview me. Whilst I declined their invitation to interview I have submitted every last detail of my experiences and allegations by email. By making this correspondence public I hope to demonstrate exactly how pointless and corrupt the 9/11 military commission is; I want a public record of exactly what these public employees working for the 9/11 commission are ignoring.